Leonard peltier counts on supporters like you! Leonard counts on supporters like you! Greetings to you, my relatives and friends. This is the first time that my dear sister Roselyn will not be there for me, but I know she is there in spirit as she has gone on her journey. I have seen pictures of the gathering over the years and can still see her sitting there under the trees with our relatives… I will always miss her and be grateful to her for all she did for me and for our people. This year I am most concerned with our children and the taking of their own lives. This is very sad to me, as it is to you, and I know there are many reasons for them to feel such despair and hopelessness. But I can only ask and encourage all of us to double our efforts to show them love and support, and let them know that we will always look after them and protect them. That includes asking big brothers and sisters to look after the younger ones. They are our future and have to be protected and to learn to be the protectors. This is not something we can live with, we need to all work to change this. And this year it is even more urgent that we come together to protect our sovereignty. There are so many issues to face and fight. We continue to fight for our Black Hills and to stop the XL pipeline from poisoning our water and our land, and I stand with the Lakota, Dakota and Nakota Nations, and all people of like mind in this fight. The destruction of our Mother Earth by the heavy and toxic Tar Sands oil, fracking, gas and oil drilling and uranium mining is unacceptable to me and to us. We are supposed to be protecting these things even as others try to push us aside. I honor all of our relatives who are on the front lines of this fight. And after all that I have seen in these 40 years behind bars, I was still shocked to see what they are trying to do to the Apache people at Oak Flats. This cannot be tolerated. It is not only a blatant money grab at the expense of a tribe’s Sacred site, but it is an effort to push us back in the direction of termination by ignoring our rights as sovereign nations. This we will not tolerate. Nothing is sacred to these people and they will continue to try to bulldoze us out of the way without even a single thought to our coming generations if we do not continue to stand up and oppose them. We must be ready for anything or we will lose all that we have gained in the last 40 years. The continued use of racist mascots is something that we can never accept as Indigenous peoples and we need to all continue to push to end that racist practice. As for me, time is something I have learned a lot about in these years in prison. And now I can see that time is slipping away from me and I know that if I do not get out under this President I will almost certainly die here in prison. I have been able to survive with the hope you have given to me and your prayers and I am grateful for that support from all of you. I continue to pray for the family of my brother Joe Stuntz and for all those who paid such a dear price in those bitter times 40 years ago. And I pray for the families of all our people who have suffered so much and continue to suffer now. I thank all of you for coming today and I know how hot it can be there. And especially to all the runners and walkers I offer my gratitude. Earlier this week we found out that our Brother Delbert Africa was denied parole by The Pa. Parole Board and was given a two year hit. One of the reasons they cited for Delbert being denied in their own words he is a risk to the safety of the community. This is unacceptable! Anyone who has ever met Delbert or has come in contact with him can tell you that Delbert Africa is nowhere near a threat to the safety of the community. Even The Superintendent of SCI Dallas who, along with Delbert’s Counselor, recommended Delbert For Parole so The Parole Board has to come with something better than this. People in the community who The Parole Board are saying are at risk all wrote letters of support for Delbert’s Parole. In fact they are a risk to the safety of people in the community; not Delbert Africa or the rest of The Move 9. It’s The police, known murderers of our children . The police that murdered MOVE Men, Women, And MOVE Children on May 13th 1985 walk the streets with impunity. The police who murdered Brandon Tate Brown in Philadelphia are still walking the streets with their identities protected. Akai Gurley, Eric Garner, and so many others’ safety has been put at risk by these foul murderers who walk the street and continue to be a risk to the community as a whole’s safety. It’s obvious a person who has kept down gang and racial violence in prison is far from a threat to the community at large. It’s obvious that officials want our family to die in prison. You need look no further than the examples of Merle and Phil Africa dying in prison. We cannot allow another person to die in these dungeons. We are urging people to please take the time to sign this petition that we have aimed at The United States Justice Dept. You can go to the website at https://www.causes.com/campaigns/92454-free-the-move-9. 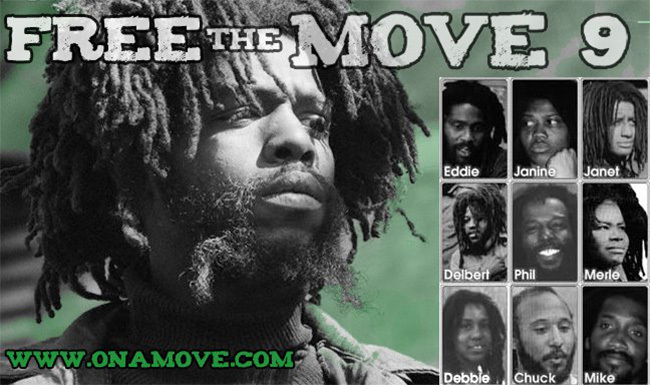 We are demanding now that the justice dept look into the unjust imprisonment of The Move 9 as a whole. Our goal is to reach 25,000 signatures as a whole so we have some serious work to do as a whole and your help is needed now more than ever. Seth’s medical condition continues to worsen, and he has not been evaluated or treated for potentially life-threatening symptoms despite following formal medical care request procedures within the prison. Because the medical staff at the prison and Health Services of the Department of Correction continue to neglect his medical needs despite numerous calls from concerned medical providers and other citizens, we are urging both Commissioner Annucci and Governor Cuomo to exercise oversight and see to it that Seth finally receives proper medical care. Read Seth’s May 17, 2015 Sick Call Request here. AND CONTINUE TO CALL AND FAX. 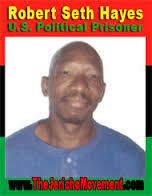 Robert Seth Hayes is one of the longest held political prisoners in the US. He is 66 years old and suffers from multiple chronic and concerning medical problems. As many of you know, we waged a medical campaign for him a few months ago regarding rapid and concerning weight loss as well as poorly controlled diabetes. Neither of these concerns has been addressed to date. NYS DOCCS states on its website that denial of adequate medical care is a violation of a person’s eighth amendment constitutional rights, so please help demand that Seth be provided with proper care. Since we began our campaign, Seth’s medical situation has actually worsened. He has had a cough with shortness of breath. He is also intermittently coughing up blood tinged mucous. He has not been evaluated or treated for these symptoms. He has a mass in the upper left quadrant of his abdomen which puts pressure on his diaphragm, increasing his difficulty breathing. We must keep the pressure on and be consistent, insistent and persistent to make sure we do not lose yet another of our beloved freedom fighters due to deliberate medical neglect. 5) a physician’s order for a diabetic diet. Please email nycjericho@gmail.com and let us know what response you receive so that it can be given to Seth’s legal team. I am writing in regards to Robert Seth Hayes, #74-A-2280, DOB 10-15-48, who is currently at Sullivan Correctional Facility in Fallsburg, NY. addressed by medical staff at Sullivan Correctional Institute despite numerous requests by the patient, family, concerned medical providers, and the general public. He has not even been prescribed a diabetic diet. Mr. Hayes’ medical situation has actually worsened in the past two months. He has a cough with shortness of breath and a mass in the upper left quadrant of his abdomen which puts pressure on his diaphragm, increasing his difficulty breathing. He has also developed three lumps on his chest. He has not been evaluated or treated for these symptoms. I thank you for your prompt attention to these medical matters. 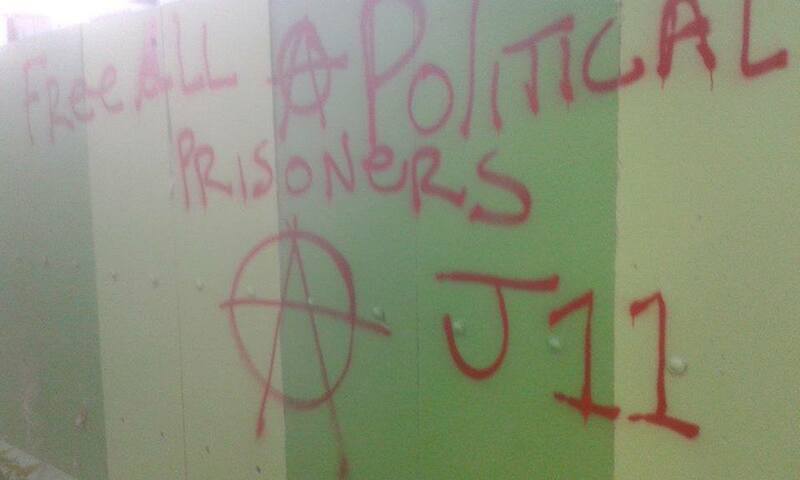 In mid-May, I put out a commentary stating, “Stop the forced closures of Aboriginal communities in Western Australia and all across Australia.” This is Jaan Laaman, your political prisoner voice, coming to you from the federal prison in Tucson, Arizona. Let me share some new information from Human Rights and social justice activists and from Indigenous leaders in Australia, about the ongoing government attacks against Aboriginal communities. Early this year the Australian government, especially the State of Western Australia and its Premier Colin Barnett, began shutting down all services, that is: water, electricity, schools and health care facilities in Aboriginal towns and communities located more than 100 kilometers from large urban areas. This policy is only directed at Indigenous communities. No white towns or stations are being shut down. It has been widely speculated that by driving out the Indigenous people from these remote towns, this will open up these lands for mineral exploitation. Colin Barnett and his Western Australian government have close ties to huge mining corporations. Whatever the full reason might be, the reality is that Aboriginal people and their communities are once again under direct attack by government policies and forces. Aboriginal people and communities are resisting this latest colonial attack on their lands and lives. In fact Australians of all backgrounds have come forward to rally and demonstrate against these outrageous policies. Tens of thousands of people have rallied in cities all across Australia. In late May and on June 1st, there were also a small number of solidarity rallies in Europe and Asia. 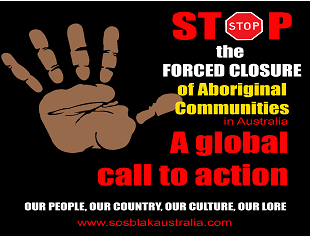 Go to http://www.sosblakaustralia.com, to find out more information. Let me repeat that — http://www.sosblakaustralia.com. Time is short, but why not organize or join an action in support or our Aboriginal friends. any hope and unwilling to vegetate isolated anymore. Gülaferit and prolonged his strike insisting not to wear prison clothing. first step of collective resistance. 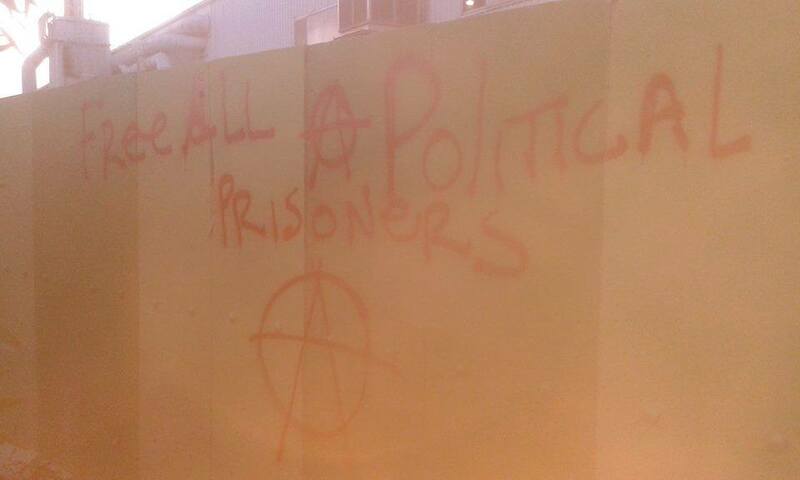 cooperation of migrant comrades from Turkey and the local left. end of the hungerstrikes intervened for the strikers. Certainly there could have been more support. is, that many anarchist comrades were engaged. 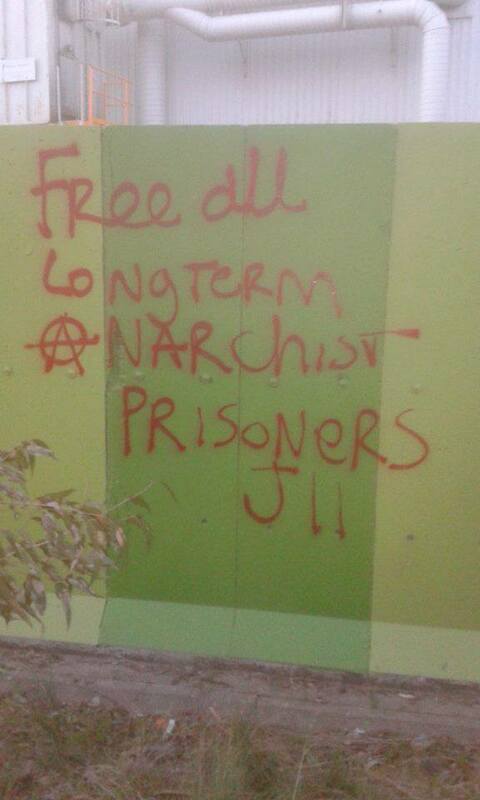 prison Pankow and justice ignored the hungerstrike. The question is why. be plundered and destroyed by the German government. with the prisoners we could win at the end. 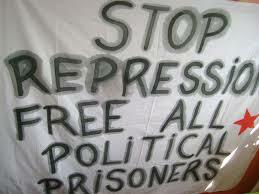 freedom and liberation hat to be intensified here and international. the „heart of the beast“. 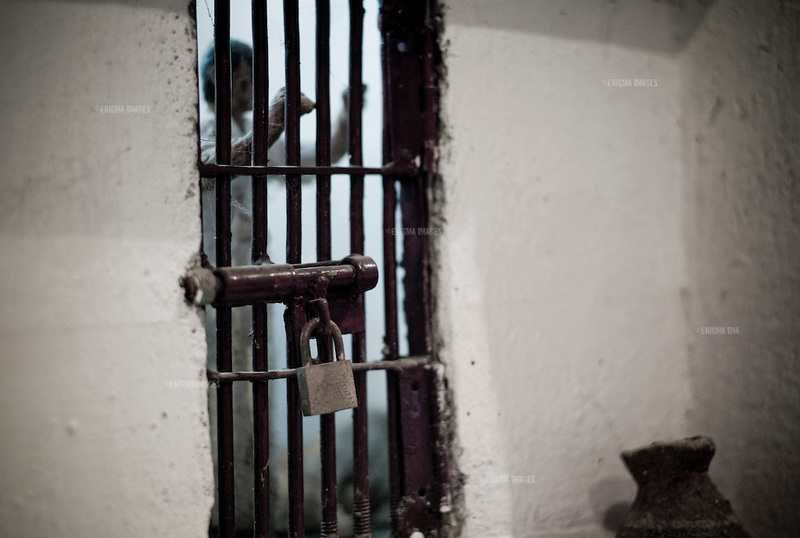 AAPP calls for adequate healthcare for political prisoners in Burma Date: June 11, 2015 The Assistance Association for Political Prisoners (Burma), also known as AAPP, has received reports over recent months regarding the deterioration of the health of several political prisoners in Burma’s prisons, raising serious concerns. On June 2, 2015, Tin Win, a detainee in Tharyarwaddy Prison was admitted to Rangoon General Hospital after collapsing in court following breathing difficulties. Tin Win had been arrested on March 10, 2015, in relation to the student protests in Letpadan Township. Prior to the court hearing, Tin Win had been suffering from injuries on his neck and ribs as a result of the beating he received during his arrest. Due to these injuries he is also suffering from nerve damage. Such were the extent of his injuries, that on June 5 he had to undergo surgery on his neck. He is currently still in hospital. KhinHlaing, who was also arrested in relation to the student protests in Letpadan and is being held in Tharyarwaraddy Prison, has frequently fallen unconscious and has been coughing up blood during detention. His health situation is so severe that he was unable to attend his court hearing on June 9. Instead, on June 9, KhinHlaing was sent to Tharyarwaddy General Hospital, and was transferred to Rangoon General Hospital that same day. Similarly, the health condition of Nay MyoZin, currently serving a four year and four month sentence in Insein Prison and awaiting trial under further sections of law, is serious cause for concern; due to a problem with his spinal cord he is having difficulties walking. One of the Unity journalists, The YarzarOo, who was arrested in 2014 and is currently serving a seven-year sentence in Pakokku Prison, is in ill health due to Hepatitis B. According to The YarzarOo’s wife, he now requires the assistance of a walking stick due to walking difficulties, and is suffering extreme mental pain due to his imprisonment. In addition, it is unclear whether political prisoners Sai Tin Min Tun and ZawThetAung, who are both suffering from AIDS, have received appropriate treatment. 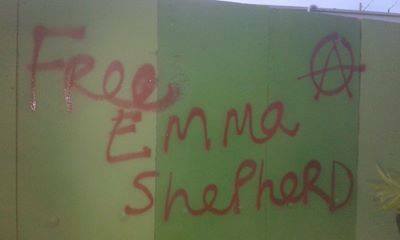 They are both serving long-term prison sentences. The museum at the Assistance Association for Political Prisoners (Burma). The AAPP is an independent, non-profit organization run by former political prisoners on the Thai-Burma border that monitors the situation regarding political prisoners in Burma, including human rights violations, persecution and intimidation to both current and former political prisoners and their families. 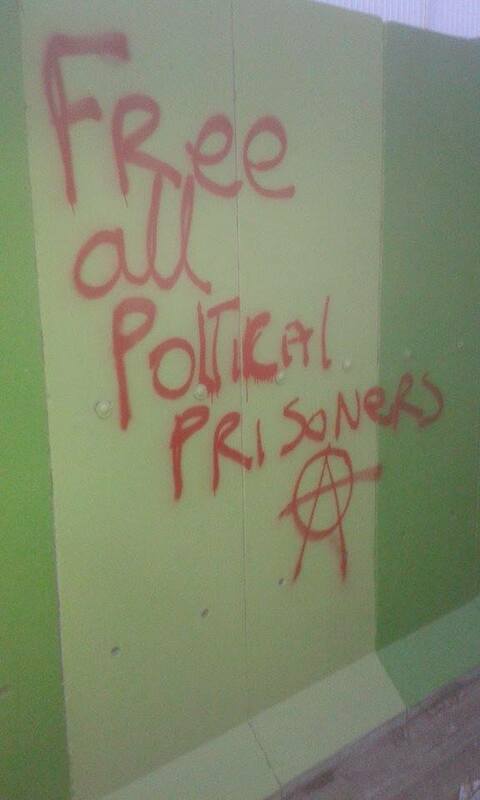 Through international lobbying and advocacy as well as reporting and campaigning, since AAPP was founded in 2000, it has been able to provide help to hundreds of political prisoners.